DIY Raspberry Pi Weather Station @Raspberry_Pi #piday #raspberrypi « Adafruit Industries – Makers, hackers, artists, designers and engineers! 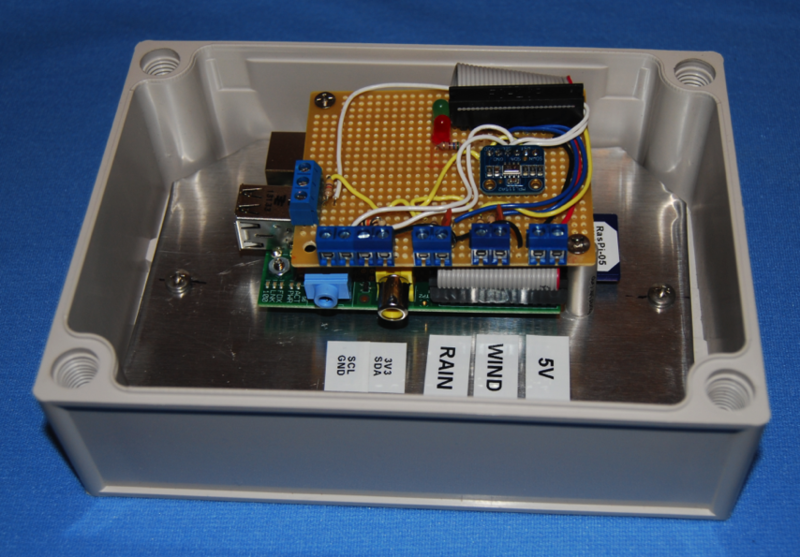 My latest Pi project involves creating a weather station in a way very different from most others. I will cover various parts of this project in my next several posts. The most common way that a Raspberry Pi (or any other computer) is interfaced is via a pre-built system that has a serial or USB connection. This is the fastest and easiest way to do this. But what fun is doing things the way everyone else does? I had an old weather station that was relatively cheap (less than $100) and did not have any drivers for Linux. I ran it on an old PC for several years, but it finally stopped working. The wireless part was never very reliable and it was a pain to keep replacing batteries. 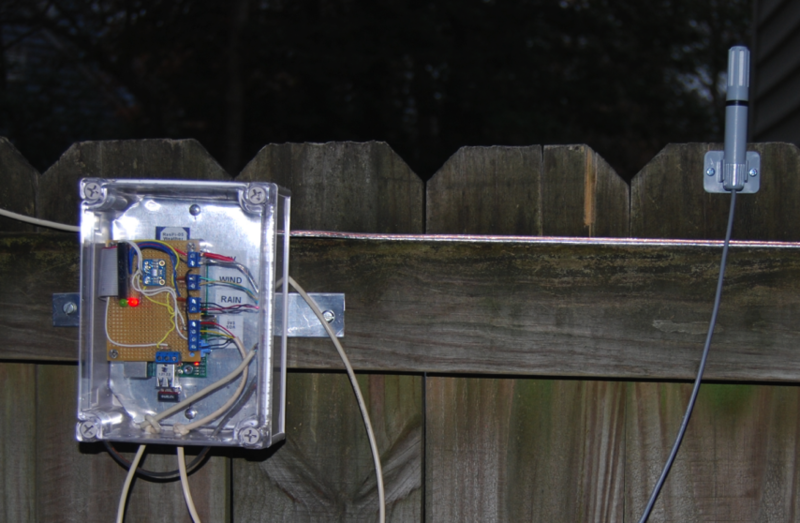 I was able to salvage the anemometer (wind speed) and rain gauge and hack them into my new system. For temperature and humidity readings I use the AM2315 from adafruit. For barometric pressure I use the MPL115A2, also from adafruit. Both of the devices interface via the I2C bus. I have to give a plug for adafruit. 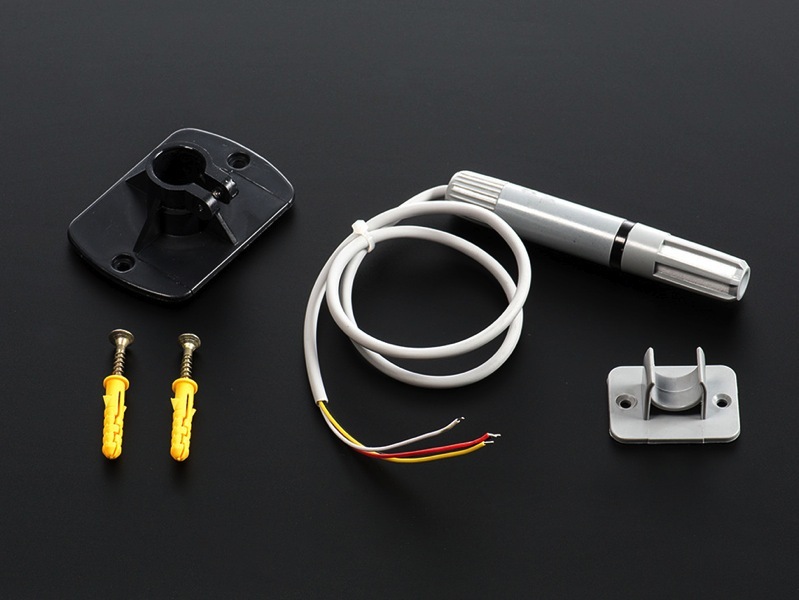 It’s a great place to get parts to connect to the Raspberry Pi.